Using a Linux distro as your computer’s operating system might deliver various advantages in terms of cost and usability, but there are some disadvantages too. For instance iPod users will have difficulty syncing their devices with iTunes; the popular media player, sync and marketplace application isn’t available on Linux. Short of installing WINE and running iTunes within its Windows emulation framework (and praying), there is no way to get the advantages of iTunes on a Linux box. So the next solution is to find an alternative, an open source solution that delivers as much of the same user experience possible as iTunes. What is the iTunes User Experience? There is barely a Windows user in the world who has iTunes installed and doesn’t own either an iPod or an iPhone. ITunes is designed particularly for these devices and syncing music to them, and as such this is the key element of the iTunes user experience. Another aspect is the ability to rip music from CDs and add it to a library of tunes that can be played back either on your computer or your MP3 player. This is a basic feature, while the inclusion of album art is considered an expected feature. Finally, iTunes gives users access to a vast online store where music can be purchased and downloaded. 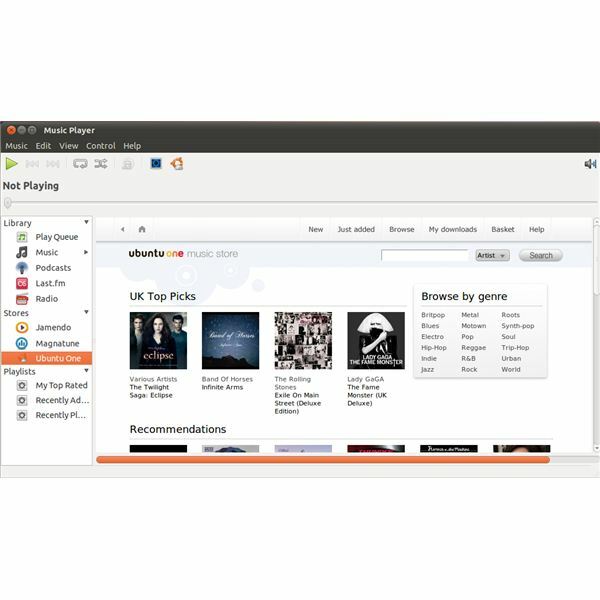 Alternatives to iTunes for Linux should include all or most of the above; syncing an iPod with a Linux distro isn’t easily done, but can be done in Ubuntu 10.04 and Ubuntu 10.10 with the libimobiledevice utility (available via the Package Manager). Let’s take a look at the best alternatives to iTunes for Linux. 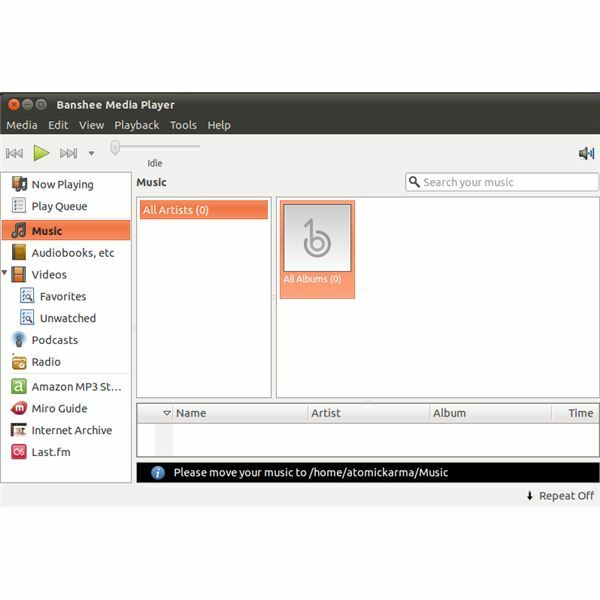 Included within Ubuntu, Rhythmbox combines a desktop library of tunes with internet radio, personal radio in the shape of Last.fm, and the Jamendo, Magnatune and Ubuntu One music stores. Rhythmbox is a fully functioning audio player, allowing you to create playlists, queue tracks, organise music and download podcasts. 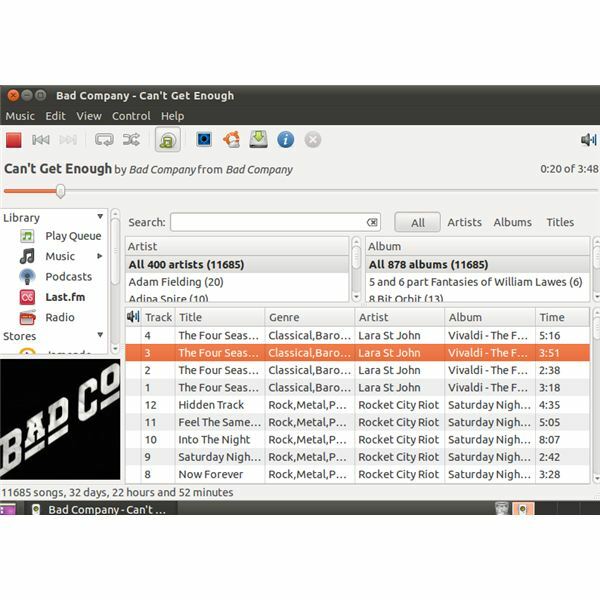 Tracks can be ripped from CDs as you would expect, and to all intents and purposes, Rhythmbox is the Linux equivalent of iTunes. Bringing a more universal approach to listening to music on your PC, Amarok includes all of the usual music playback tools that you would expect, the ability to sync with iPod Touch 3G (and presumably iPhone 3G) as well as displaying lyrics, guitar tabs, touring information and Wikipedia.org entries for the artists you listen to. More about Amarok can be discovered at the website, amarok.kde.org. Combining support for music, video, audiobooks, podcasts and internet radio, Banshee features a store in the shape of the Amazon MP3 Store and also provides access to the Last.fm personal radio system. Regardless of which distro you install Banshee on, it includes sync tools enabling you to pair an iPod, iPhone or Android phone to synchronize your MP3s as well as various play modes, album art and more. Banshee is available for most Linux distros as well as Mac OS X; full details can be found at banshee.fm.